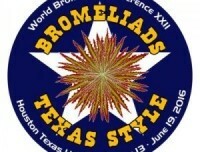 BROMELIADS TEXAS STYLE . 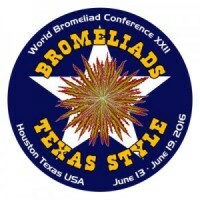 . .
We look forward to welcoming you to the 22nd World Bromeliad Conference, hosted by the Houston Bromeliad Society. We’ll keep you posted on all the latest developments right here at Conference Corner. 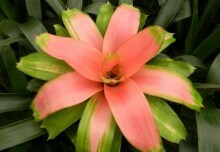 Please make sure to check monthly for all you need to know about BROMELIADS TEXAS STYLE. Click here for the registration form. Please read it carefully and note that the discounted rate is available only until June 30 to those who attended the 2014 Hawaii Conference. Take a look at the summary of things to do in Houston and plan a fun week for you and your family. In the near future, we will publish a list of optional events that you can add to your schedule. The Houston folks are planning a real Texas Party at Jimbo’s on Wednesday of conference week. BarBQ, Bromeliads, Beer & Wine will headline the evening. Pricing and details of this and additional optional events will follow in the next few months. We have selected the Westin Galleria Hotel as conference headquarters and hope that you support our decision. Room rates start at $139 and reservations will be available thru the hotel web site very soon. Please know that BSI appreciates your support and looks forward to seeing you in Houston.